Photographing snow! With winter well and truly here and many of us enjoying (or possibly not) beautiful snowy towns and landscapes I thought I’d better write a few snow photography tips for you. Firstly it’s important to be into snow photography. I know that sounds crazy but if you’re hating every minute and wishing you were a warm by the fire at home ­ your pictures are likely to be mediocre at best. Here are some snow photography tips to help you get the best from the wintry weather. Wrap up warm and get yourself excited about the possibilities of snowy landscapes and twinkly city lights. The best snow pictures are taken on virgin snow before anyone messes it up ­ that often means early starts. Get your camera and kit ready the night before so you’re ready to go. Keep your camera as warm as possible because batteries often die when they get down to freezing. Carry a spare in a pocket close to your skin so if it does go flat you have a nice warm spare. Snowy days often mean dull grey skies so use a grey grad filter to add sky detail. Dial in at least +1 with your 'exposure compensation' because camera light meters are designed to get the exposure right in average conditions, but photographing snow isn’t average. Because it’s bright white the camera will try to make the picture darker so you need to over expose by about a stop to keep the image white not grey. Use your histogram to help with exposure ­ and remember a correctly exposed bright white scene will have a histogram which is predominately over to the right. If you’re not sure ­ bracket your exposures in half stop increments. 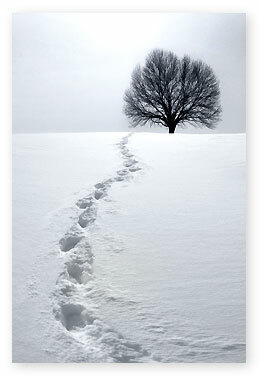 Take a shot of the virgin snow - then add some footprints and take another. Human interest makes pictures more compelling and can aid composition. This photographer walked up to the left of the tree then came back to where they began via circular route so there’d only be one set of prints leading up to it. Keep it simple ­ even a snow capped mail box against a green bush make an interesting image. 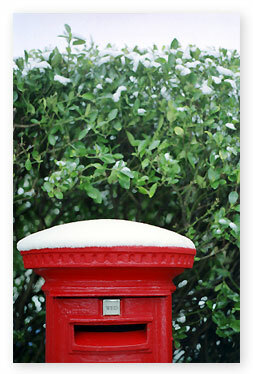 Red and green are opposite colours so they always work well together, and a dusting of snow adds interest. 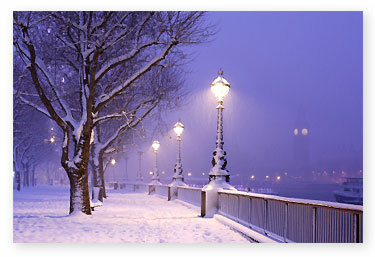 Photographing snow in the city at twilight works brilliantly ­ particularly if the snow’s still falling. Look how the falling flakes pick up the yellow light from the street lamps. Use a tripod because this kind of shot will need a slow shutter speed. Try to get there before anyone makes footprints unlike me! If it’s below zero try not to breathe on the camera lens or viewfinder ­ the condensation might freeze. Protect yourself - if you take these snow photography tips out into the wilds make sure you’ve told someone where you’re going and when you expect to get back. As I look out of my window there are even a few flakes falling here (a rarity on the UK’s south coast) so I’ll be out early tomorrow morning if it continues. 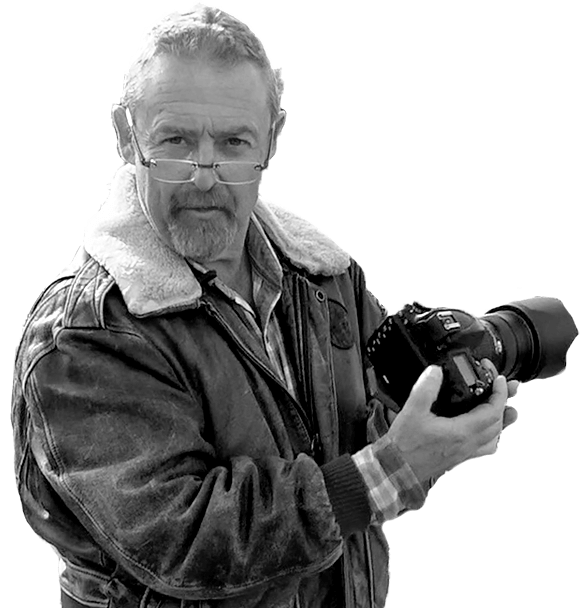 If you’d like to know more about tricky exposures, histograms, composition or anything else about photography take a look at our photography course downloads and One-to-One photography courses.